A limited number of Sunday Day Tickets are available at the price of £30 (£24). 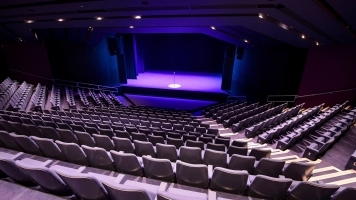 Book before Mon 24 Mar and get a 15% off the price of the Day Ticket. 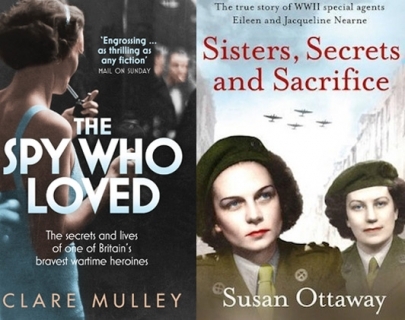 Authors Clare Mulley and Susan Ottaway, whose books The Spy Who Loved and Sisters, Secrets and Sacrifice reveal the thrilling stories of women secret agents in World War II, are joined by Noreen Riols, one of the only surviving SOE agents and author of memoir The Secret Ministry of Ag. and Fish, to delve into the amazing stories of women spies and their heroic work towards winning the war. Clare Mulley is the award-winning author of two biographies, including The Woman Who Saved the Children (2009) and a contributor to The Arvon Book of Life Writing. She is a seasoned public speaker and occasionally writes for publications including History Today, The Spectator, The Express and The Church Times. In The Spy Who Loved, Clare Mulley tells the story of Krystyna Skarbek, aka Christine Granville, who was the first and the longest serving female special agent working for Britain in the Second World War. A Polish countess and beauty queen, in 1939 Christine swapped the comfort and security of life as a diplomat’s wife to make an extraordinary contribution to the Allied war effort in occupied Europe and beyond, where she became one of the most loved as well as one of the most successful female agents of the war. Susan Ottaway is the author of several books including Dambuster: a Life of Guy Gibson VC (1994), (with Jackie George) She Who Dared: Covert Operations in Northern Ireland with the SAS (1999), Violette Szabo – The Life That I Have (2002) and Hitler’s Traitors (2003). Sisters, Secrets and Sacrifice is the true story of sisters Eileen and Jaqueline Nearne, who worked for the Special Operations Executive. In 1944, Eileen Nearne flew into German-occupied France as a wireless operator for the SOE, attached to a circuit in the south of Paris, and was captured and incarcerated in Ravensbrück Concentration camp. Eileen Nearne not only survived the camp but managed to escape from a work party, eventually meeting up with the advancing Americans in the spring of 1945. Meanwhile her sister Jacqueline worked for a very large circuit for 15 months before being brought back to England suffering from exhaustion. days meeting agents returning from behind enemy lines, acting as a decoy, passing on messages in tea rooms and picking up codes in crossword puzzles.